National League leaders Forest Green Rovers have signed former Northampton Town midfielder Darren Carter on a deal until the end of the season. 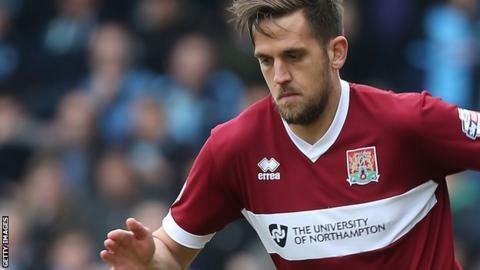 The 31-year-old was a free agent after being released by the Cobblers in May after two years at Sixfields. Carter made his debut for Forest Green in Tuesday's 2-2 draw with local rivals Cheltenham at The New Lawn. He began his career with Birmingham City and his other clubs have included West Brom and Preston. While searching for a new club, Darren Carter has been working as a summariser on Birmingham City games for BBC WM 95.6 and will continue to do so when their games do not clash with Forest Green's.